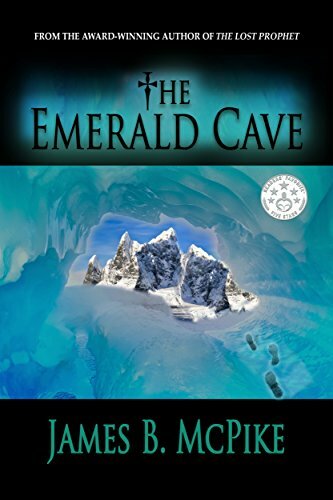 The Emerald Cave follows investigator Vince Ramsey who is tasked with tracking down a dangerous arms dealer. What was the inspiration for the setup to this thrilling novel? After writing the previous two novels in this series I always try to up the ante in my books. With this one I wanted the main hero Vince Ramsey to tackle his biggest mission yet. It took me almost two years to develop the plot and once I did, it took me about three months to write the book. I never thought I’d write a trilogy, but it all came together and happened. It’s one of the greatest accomplishments in my life that I can look back on. I knew this would be the end for one of my favorite heroes and I wanted him to go out with a bang. Vince is an intriguing character that I enjoyed following along with. What were some driving ideals behind his character? Before I even started the monumental task of writing a book, I just tried to create a character in my mind who fit the concept and ideals of a hero for today. I wanted someone who knew the Bible, but was also like a preacher with a badge and not afraid to dish out punishment when necessary to save the day. In the end I wanted someone who everyone could root for. There is a perfect balance of mystery, intrigue and action throughout this book. Was this a conscious effort while writing or did it develop organically? Every book I write is by instinct. I’m not like some authors where they plot and plan and script each scene beforehand on paper. That was never my style. I trusted that when I wrote the scene those things would come to me, and so far after ten years it’s worked. I’d rather run with my ideas and see where they take me, instead of script or pre-plan each scene. But I also stew on my ideas before I even decide to start a new book. I know what the readers expect and I don’t want to let them down. I do tons of research before even starting a new book project. If the idea isn’t worthwhile I’m not going to waste my time on it. Glad you asked. I write every book like it’s my last, so I didn’t know if I would write again. For whatever reason, the idea struck me and I’m writing what I think will be my best book yet – Treasure Fever. It’s about the legendary search for El Dorado and I anticipate on having it done by January. We all know how long it takes for a book to be traditionally published but I hope this one will be out sometime in 2019. Follow Israel’s top investigator, Vince Ramsey, in this thrilling conclusion to the award-winning trilogy! Ramsey is called in to track down a shadowy arms dealer whose last known whereabouts were in a reclusive village in France. It soon becomes clear that the arms dealer was after a fabled treasure–something so powerful that it could be used as the ultimate weapon. Ramsey enlists the help of April Fulton, an expert in rare antiquities, to aid him in his whirlwind quest. She quickly traces clues to a controversial physics lab in Switzerland, led by a mysterious figure. Hunting down another lead, Ramsey travels halfway around the globe to a decommissioned military base in the most remote place on earth–Antarctica. There he must battle the dangerous elements and a ruthless team of mercenaries in a race to find the treasure in time. The Emerald Cave by James B. McPike is a fast novel. It’s not fast in the sense that it’s a short read. Rather, The Emerald Cave works by having prose and plotting that takes readers for a whirlwind of a story that involves action, firefights, terrorists, heists, and a dozen other elements that contribute to an engaging and incredibly engrossing novel. Being the third in its series, The Emerald Cave follows the story of Vince Ramsey, an Israeli detective searching for an arms dealer whose whereabouts are murky at best. He enlists the help of April Fulton, an expert on historical artifacts, and the two set off on an epic investigative chase that brings them from one part of the world to the another, with obstacles and betrayal meeting them each step of the way. The book is fast, and it starts off with a tense standoff initiated by terrorists of the Hezbollah organization. From there, the plot takes no chances, pushing onward with a feverish speed that helps heighten the book’s sense of urgency and impact. This is juxtaposed by appropriately placed moments of quiet that allows both the characters and the readers to ponder on events as they unfurl. Beyond these points, The Emerald Cave shines in its effective usage of characterization. The relationship between April Fulton and Vince Ramsey highlight a realistic dynamic that allows the two to play off one another. Sequences in which the two work together in solving a puzzle or identifying various clues reveal key differences in the characters’ logical approaches and methodologies that help make each character feel individual. In certain moments, I found myself working out these puzzles with April and Vince, identifying my own thought processes and “aha!” moments in conjunction with their own. At the same time, there is a clear sense of growth these two protagonists go through as the novel moves forward and while some trends are easy to note, this sense of maturity one finds is rare in many stories today. This characterization is aided by James B. McPike’s effective prose. Sentences are generally terse and filled with the details necessary for the story. Long, drawn-out sections are rare to find and each word McPike utilizes is one that is necessary for the story being conveyed. This helps create a tense atmosphere that works incredibly well with the fast plotting designed by McPike. As a whole, The Emerald Cave by James B. McPike is an incredible story that doesn’t let up. Events fly at neck-breaking speeds while readers becoming connected with the protagonists as everyone tries to uncover the mysteries and secrets the story presents. While the story could have used some additional quiet moments in order to allow the reader to collect themselves before continuing onward, The Emerald Cove remains an engrossing piece. The stories narrative design and effective characterization makes this story an incredible journey and an enjoyable ride.